G.I. 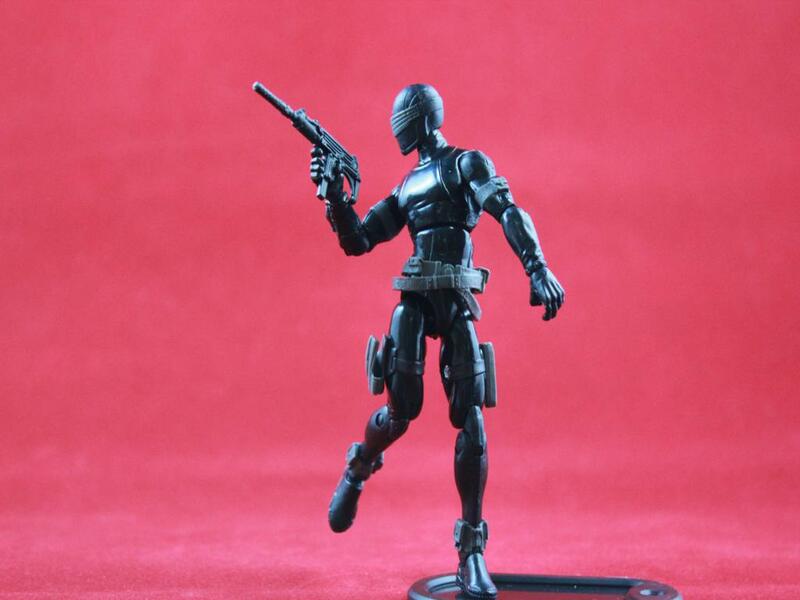 Joe Ultimate Snake Eyes Review! 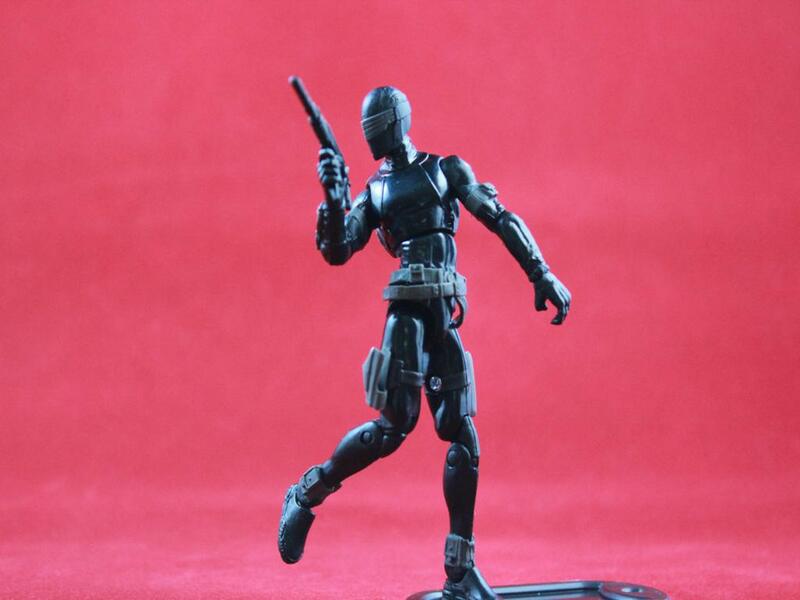 I know I said Cobra Commander would be next but lets face it, it’s Cobra Commander. I will get to him but he will be near last. 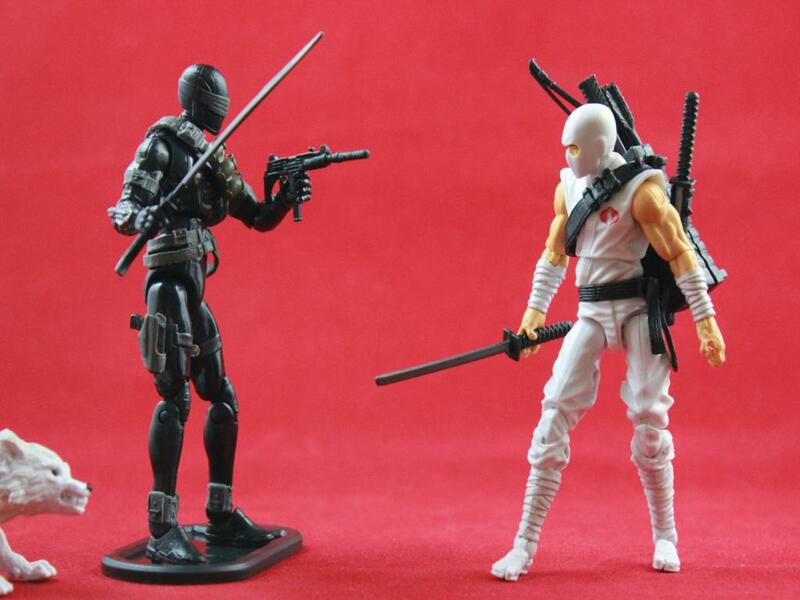 I decided to go with the counter part of Storm Shadow so I present you Snake Eyes, the Ultimate version! If you want to know my feelings on this figure, keep on reading! 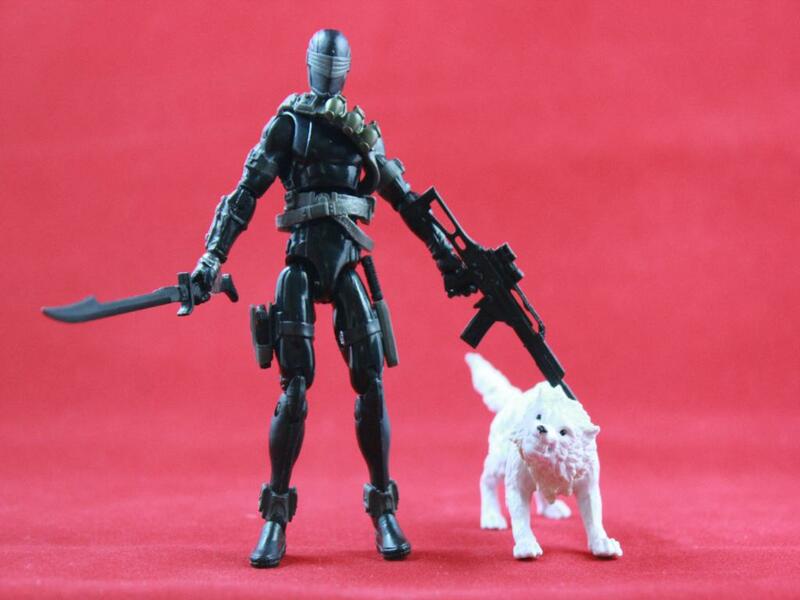 First impressions, Snake Eyes is a solid figure and the articulation is fantastic to say the least but does he deserve to be called the Ultimate version? It’s a toss up right now. 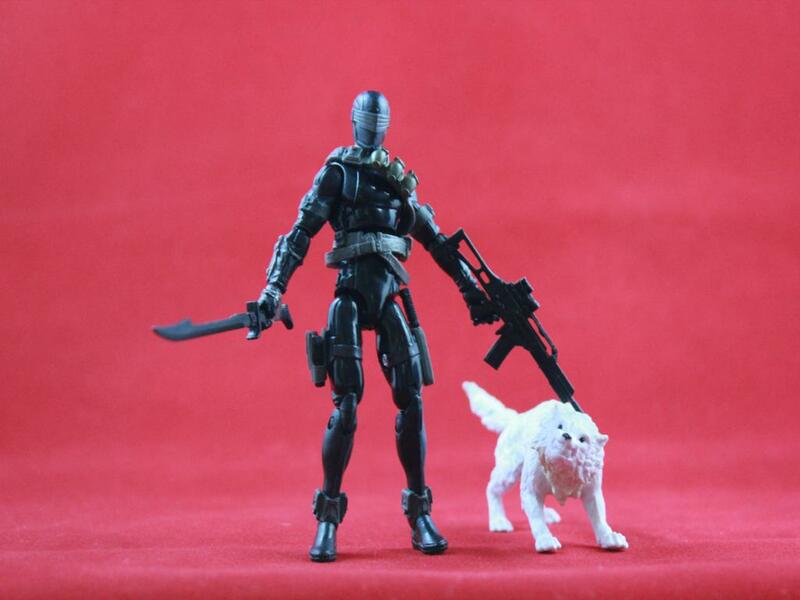 I really believe the Snake Eyes we got during the POC line was damn near perfect; not quite ARAH inspired but close. 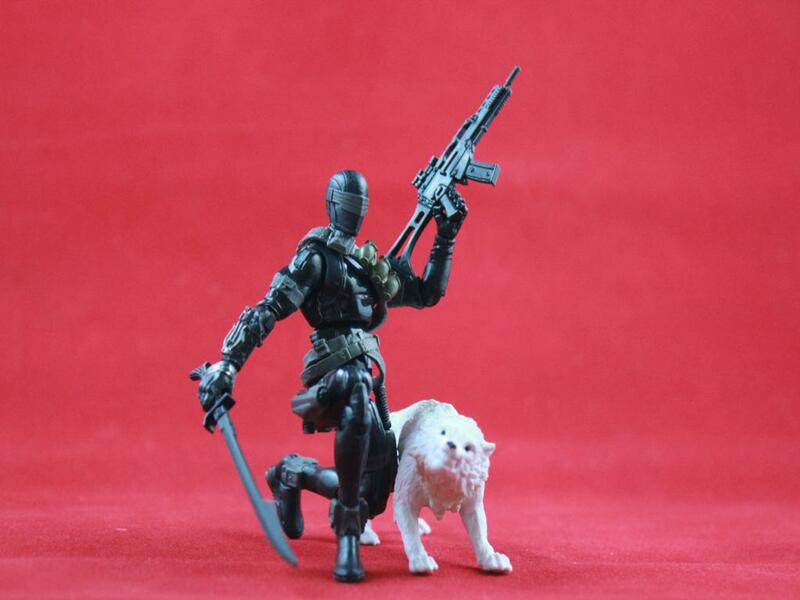 This figure is definitely a homage to the classic ARAH line and thus far, a very nice touch to the character. 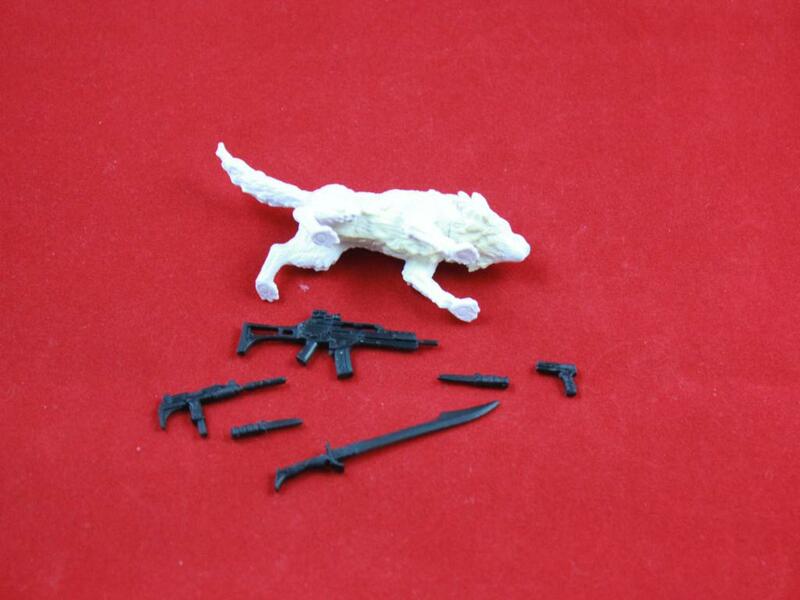 He does come with a small arsenal and Timber sports an articulated head (which is cool to say the least). 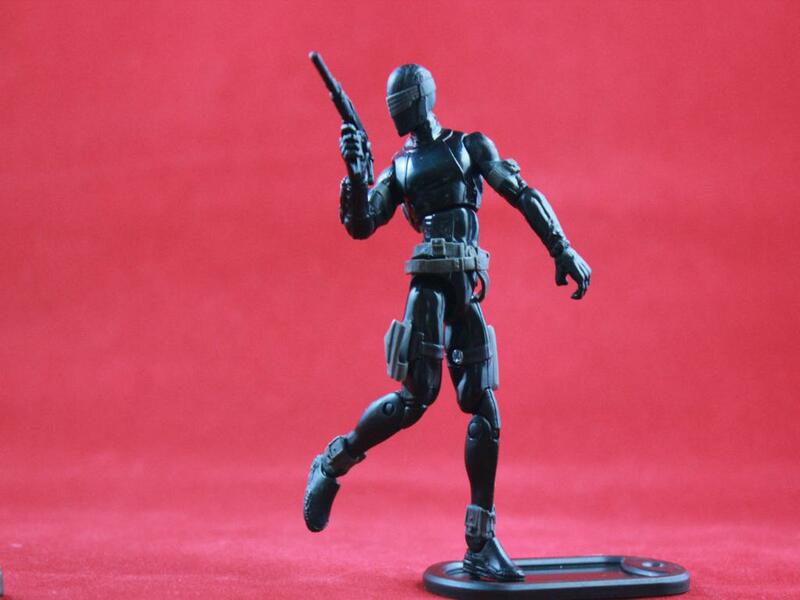 The closest figure to match this style came from the 5 pack we got a few years back. He is definitely skinny and he sports a skin tight outfit (just like the Sunbow version). Still I am not sold on the Ultimate tag line. 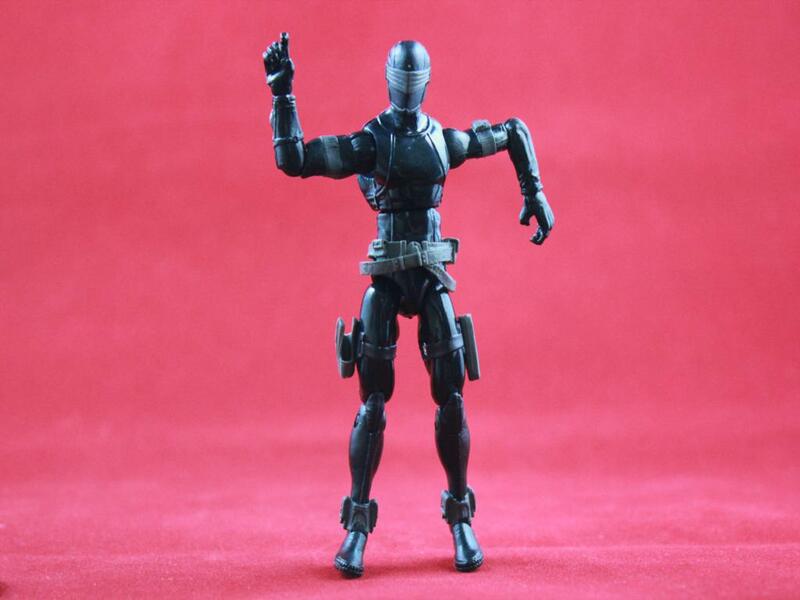 The one thing I love about this figure is the articulation. 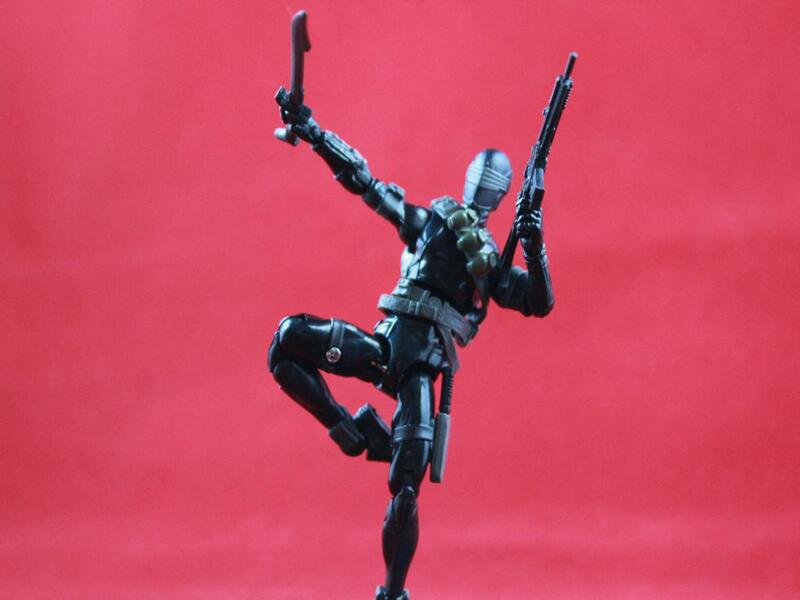 The new ankle joints are amazing and you really can pose this toy in many different ways. Believe it or not, he actually stands without support and I am happy with that. 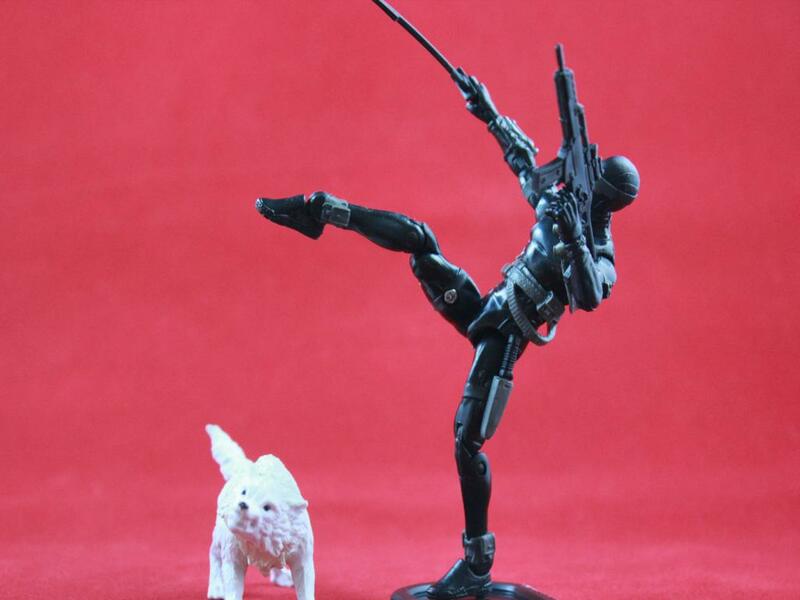 Speaking of stands, and I meant to get this out of that way with Storm Shadow, the stand is generic and I am okay with that. The fans that are gripping about this needs to realize that this stand is a bonus and Hasbro did not have to give us one. With that out of the way, I would just chill on the stand issue and just accept it for what it is. 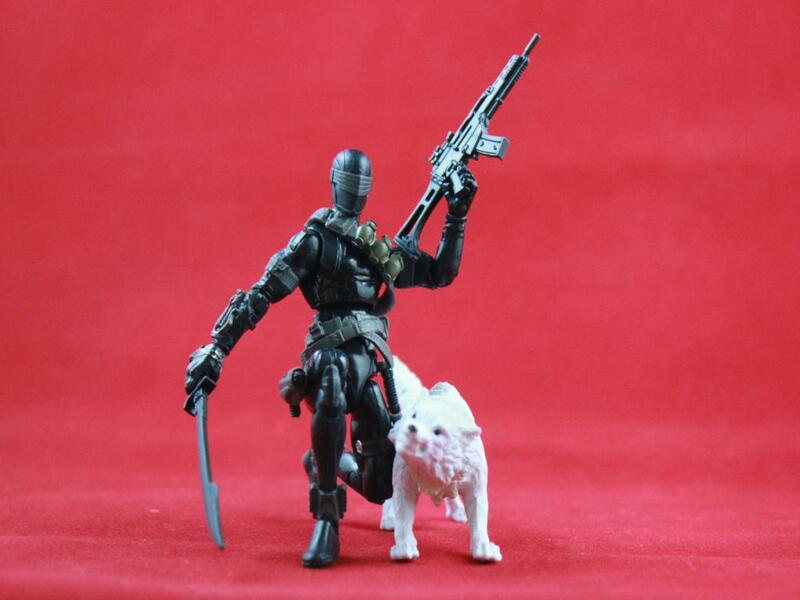 This version will replace the other ARAH inspired figures in my collection and he does deserve a spot on the shelf. Fans will have to decide whether he is indeed the ultimate version of this character; I cannot do that. Still, he is an amazing figure and if you see one, grab it. We might be going into a drought next year so fill those ranks while you can. 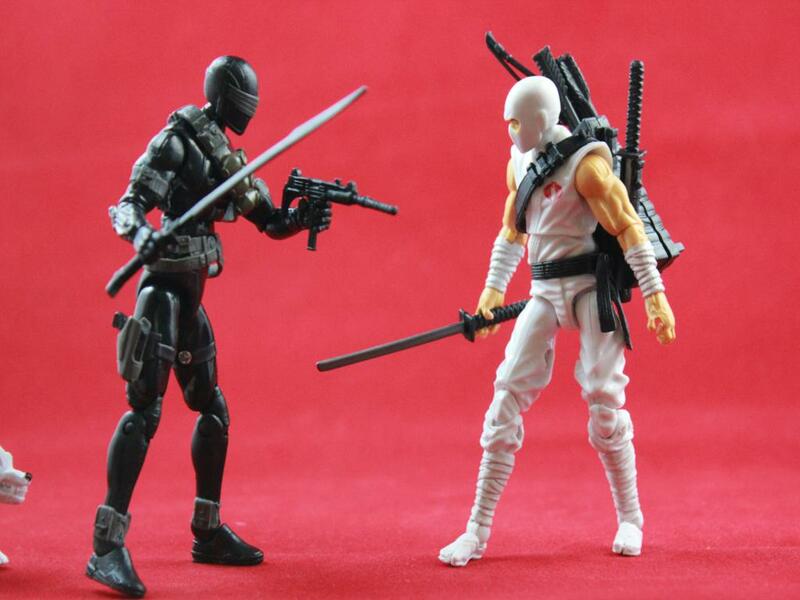 If I was to rate him I would give Snake Eyes a solid 4.5 out of 5. 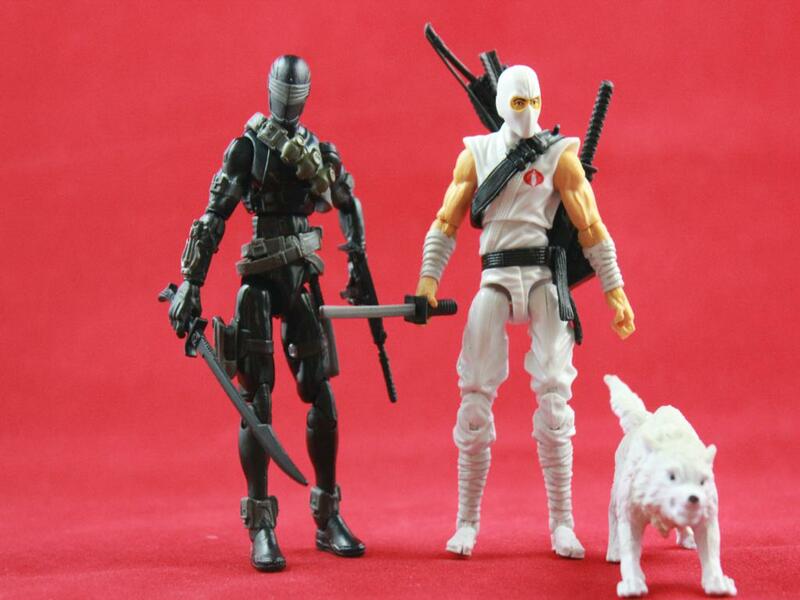 Oh buy the way, Storm Shadow earned a solid 5 out of 5 if you are wondering. 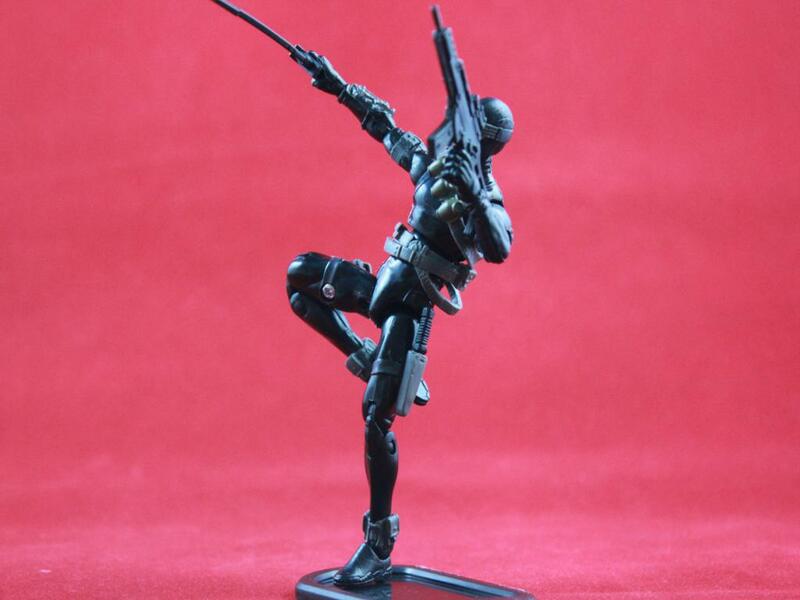 The next figure up will be the Cobra Combat Ninja. Wait till you see this guy folks, he is indeed a work of art. Till tomorrow, YO JOE! 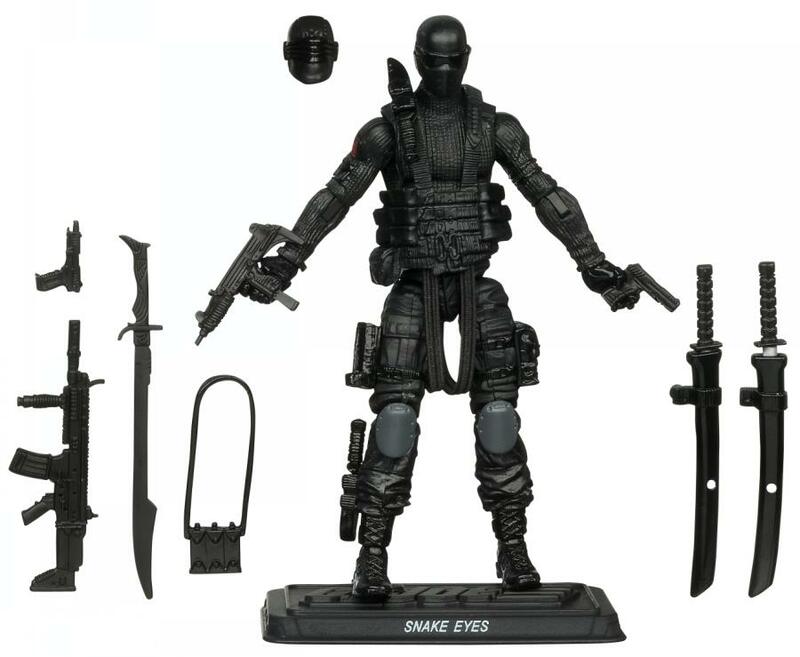 ** The POC Snake Eyes was added so you guys could see the major differences.